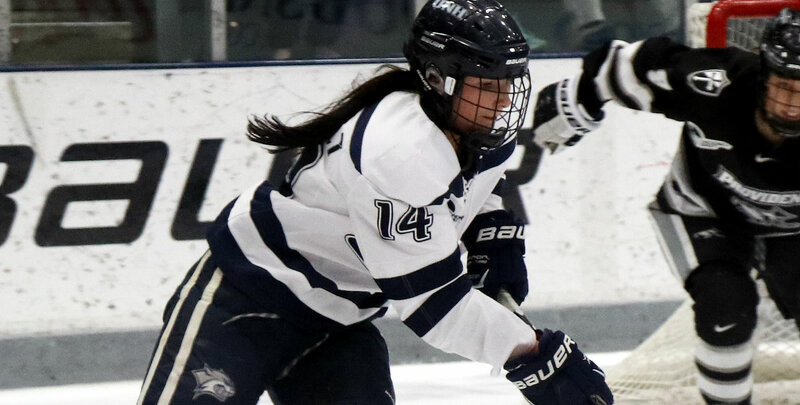 DURHAM, N.H. - It was a defensive battle on Saturday afternoon as the University of New Hampshire women's ice hockey team played host to the New Brunswick Reds at the Whittemore Center Arena. The game turned into a shooting gallery for the 'Cats, but UNH was unable to tally the deciding goal in regulation, and were stumped in overtime after outshooting the Reds 7-1 in the extra period. Both returning UNH goaltenders Ava Boutilier (Charlottetown, Prince Edward Island) and Kyra Smith (Littleton, Colo.) saw action in the contest, both playing around 30 minutes and combining for a shutout. The Wildcats begin the regular season this coming Friday, October 5, at 6 P.M. at St. Lawrence. After a two-game series, New Hampshire hosts UConn in the home opener on October 12 at 7 P.M.
- The Wildcats controlled the first period outshooting New Brunswick 17-3 in the period. - Halfway through the period the UNH had to kill off a 5-on-3 after an interference call and a too many players on the ice call, but were able to hold New Brunswick to just one shot. - On a power play halfway through the second period, the Wildcats swapped goaltenders as Boutilier left the contest with six saves. Smith relieved her with 9:27 remaining in the second. The 'Cats could not convert on the ensuing power play. - The second period ended with a severe shot advantage in UNH's favor, 31-8. - UNH had four power plays in the third but could not convert. One such power play saw a shot by Tori Howran (Bancroft, Ontario) taken from the point, straight on to the net, that found the lower left corner pipe and in, but it was ruled a no-goal due to goalie interference. - The Wildcats also killed off New Brunswick penalty in the third, just 3:29 into the third period. - In overtime, the Wildcats tallied seven shots on goal, four of which came on a power play, but UNB's defense was able to clear away the rebounds to hold on for the draw. - UNH finished with a 58-10 shots-on-goal advantage.